Poetry. In 1997, Joan Michelson's husband, Geoffrey Adkins, a fellow poet, died unexpectedly on his way to work. 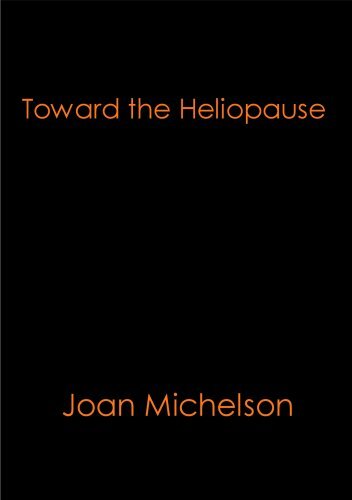 The poems in TOWARD THE HELIOPAUSE are a response to this event and a dialogue between her poems and his. Progressing through grief and recovery, the narrative follows shifts in perspective up to the tenth anniversary of the death. The reading is heart wrenching and glorious, full of love and loss and a deep look at a deep love. Anyone who has lost a loved one will find solace and tears reading TOWARD THE HELIOPAUSE and will find a moment's recognition where one's heart, if closed, may open. Joan Michelson was born in New England. She graduated from Brandeis University and completed an MFA at Columbia University before moving to England in 1970. She developed and directed creative writing as a degree subject at the University of Wolverhampton. She currently teaches at Birkbeck College, the University of London. Several poems in this collection were first published in Letting in the Light, Editor's Choice chapbook (Poetic Matrix Press, 2003). TOWARD THE HELIOPAUSE was fist published in England by Mad Jock Publishers in 2007. A bilingual edition was published by the University of Bucharest, Contemporary Literature Press, Romania, in 2009.